Students’ Model United Nations is an annual conference organized as a form of an academic simulation of the United Nations and its Councils. 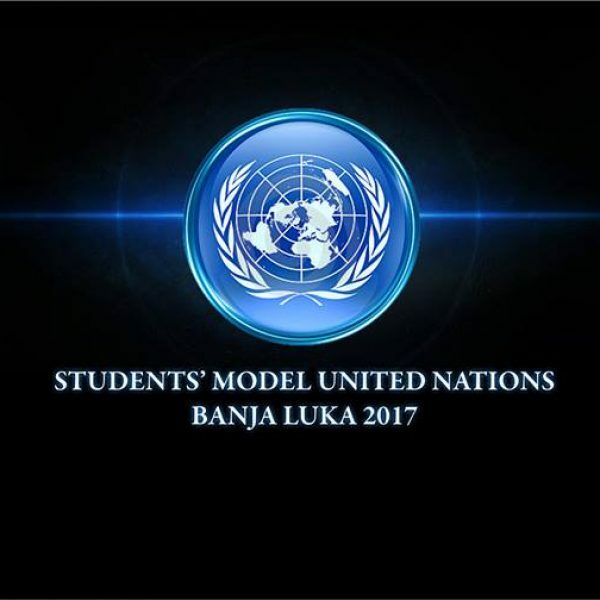 SMUN is organized by Students’ Club of Political Science Faculty at the University of Banja Luka, Bosnia and Herzegovina, in partnership with University of Banja Luka, City of Banja Luka The Government of the Republic of Srpska, the Embassy of the Republic of France in BiH, the Ministry of Education and Culture of the Republic of Srpska, as well as many organizations and institutions from the country and region. It was first held in October, 2014 and since then, it has hosted more than 350 participants from all over the globe. 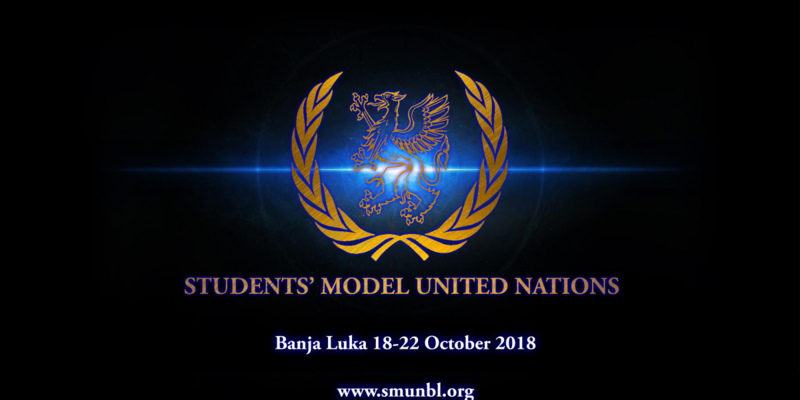 This year edition of SMUN will simulate the work of Human Rights Council and Security Council and will take place at the University of Banja Luka and National Assembly of Republic of Srpska, between October 18th -22nd , 2018. This year edition of SMUN will give participants an opportunity to discuss ongoing issues such as the Reform of the United Nations Security Council, Threats to international peace and security: The Hamas Agenda, Accessibility and Inclusion of Persons with Disabilities in Urban Development and Preventing and Countering Violent Extremism and Radicalism globally. With their assigned countries, participants will be asked to do a research on a country’s national and foreign policies, its global position and international relations. Beside the committee sessions, participants will be provided with an opportunity for networking, information exchange and informal discussions, which will be conducted through social events and study visits. To ensure a true diplomatic experience, SMUN also consists of study visits to legislative and executive bodies of Republic of Srpska, roundtables, social events and many more. SMUN aims to bring young people interested in international relations and law, diplomacy and journalism together and provide a platform for quality discussion on global issues. By hosting participants from all over the world, SMUN promotes the value of mutual understanding and importance of different perspectives on important issues in modern politics. The goal is to initiate information and knowledge exchange, thus prepare, motivate and inspire future leaders for their service in diplomacy. 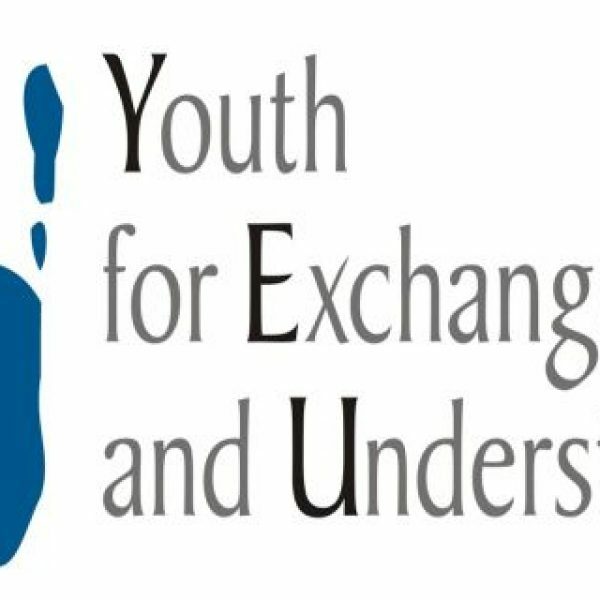 All young leaders and youth under the age of 30 who are interested in international diplomacy can apply. On the following link, you can find all information about fees and payment details.